A septic tank system typically consists of 2 tanks / chambers that allows for waste water from a dwelling house to settle out so as to remove suspended solids and for the liquid waste to gravity feed or to be pumped to a soil percolation area. Septic Tank systems are used in conjunction with secondary treatment systems which further treat effluent prior to percolation. 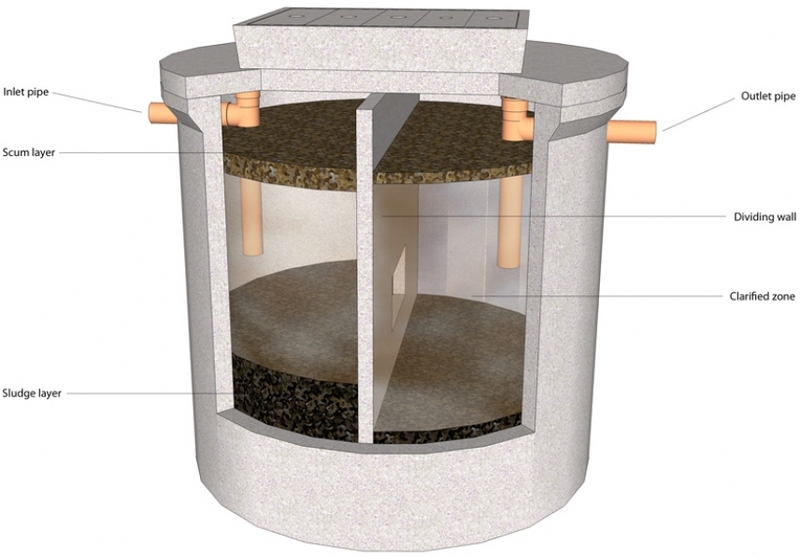 Septic Tank systems are used as holding tanks and are emptied periodically. We offer a variety of Septic Tank System sizes and specifications for individual project requirements. Septic systems rely on soil to absorb, treat and disperse wastewater effluent. If effluent flows by gravity from the septic tank to the absorption area, the septic system typically relies on a distribution box located between the septic tank and the soil absorption area. 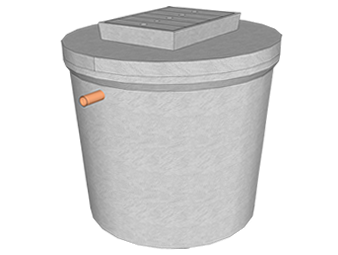 The distribution box uniformly delivers wastewater to a series of trenches cut in the soil. Without this even distribution, the soil absorption field will be unevenly loaded. When uneven loading occurs, portions of the trenches can become overloaded which can eventually cause the entire septic system to fail, resulting in untreated wastewater ponding on the soil surface. 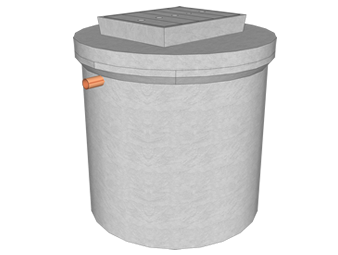 Distribution boxes are typically made of plastic or concrete, both of which we stock, and contain on inlet pipe from the septic tank and outlet pipes that lead to soil absorption field trenches.